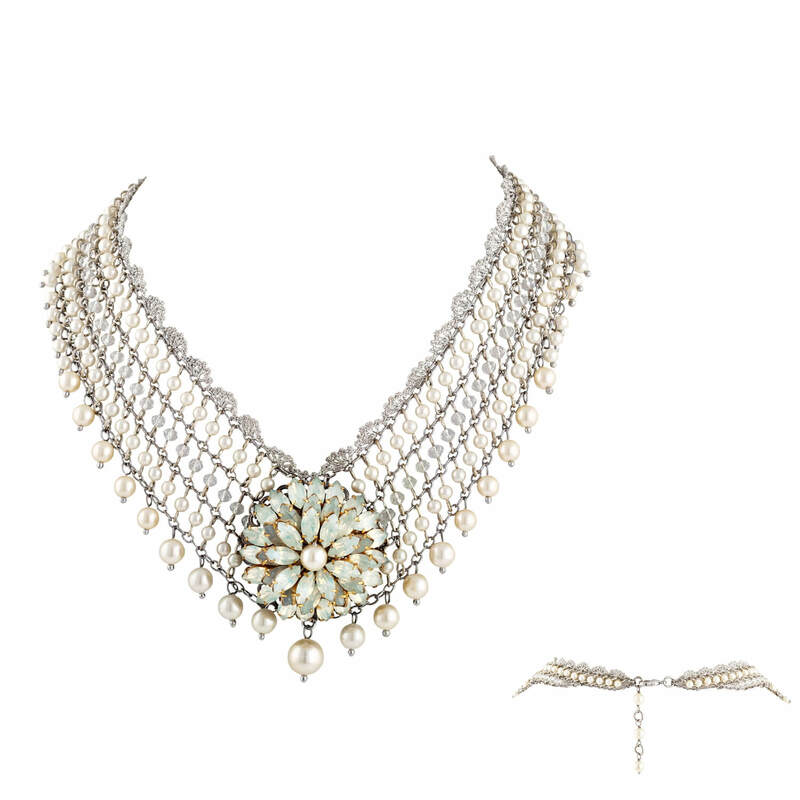 Be a talking point with this Graphite deco inspired statement crystal bejewelled necklace featuring multi-scarab fan motifs with light crochet thread overlay and light gold plate settings. Lovingly handmade by St Erasmus Artisans. Presented in gift box for safe storage. Comes with drawstring dust-bag. Includes 12 month warranty. Inspired by garden flowers of roses and daisies this statement multi-flower necklace is a classic St Erasmus collectible that will never fail to amaze. Light weight, with Graphite, Violet, Bronze and clear crystal stones in light gold plate settings covered in light peach ivory colour crochet mesh. Accent points embellished with small acrylic flower shapes. Lovingly handmade by St Erasmus Artisans. Presented in gift box for safe storage. Comes with drawstring dust-bag. Includes 12 month warranty.